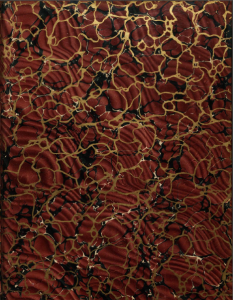 As part of our Thesis Scanning Service, when we come across a request for a thesis that has beautiful binding we make sure to scan and include these images in the digitised content. A recent example of this is the beautiful golden marble effect shown above on William David Osler’s ‘Thesis on Rickets’ awarded in 1896. 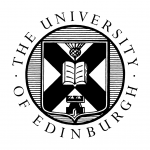 The digitised copy of this thesis is available for download from the Edinburgh Research Archive (ERA), Edinburgh University’s digital repository of original research produced at The University of Edinburgh. 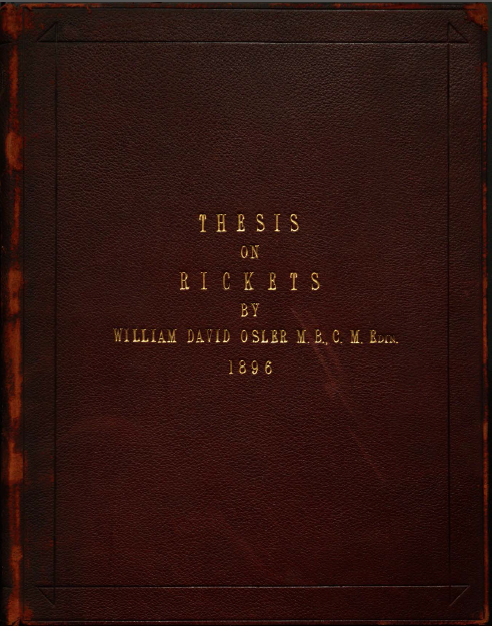 Download and view ‘Thesis on Rickets’ from the ERA archives’. 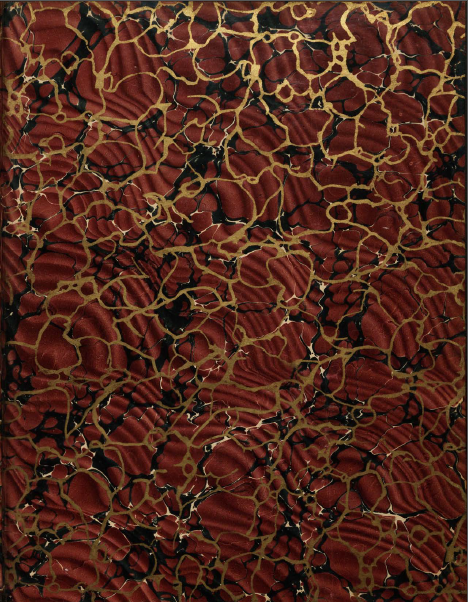 More information on our digitisation service can be found on our Thesis Scanning service page.